For many of us, it looked like Kristen was living the dream: fame, fortune, prestige, and unbelievable skiing in some of the world’s most exotic locales. But then a few years ago she gave it all up. Just like that. No more of the glitter and glamour of the free-skier circuit. Instead, she devoted herself to developing a clinic that combined ski coaching with a western form of Zen teaching called Big Mind. Since then, Kristen’s Ski to Live clinics have received national attention. I spoke to her recently from her home in Utah. SD:: You’ve stated that your work with these clinics is the most rewarding you’ve ever done, and that being an extreme ski champion was the prequel that allowed you to do it. Can you explain why you made the transition, and why you feel this way? KU: During my ski career, at least once a week I’d look at my skis and think that this wasn’t what I was supposed to do with my life. And I couldn’t figure out why. Eventually, I got to the point where I just couldn’t take it any more. But I didn’t have the guts to quit and I didn’t know what I’d learned from everything I’d done. I don’t believe you learn by experience. I believe you learn by reflecting on the experience. So initially I wanted to reflect on my experience as a professional athlete and figure out what I’d learned. This led me to Big Mind, an intense, powerful study of the self developed by Genpo Roshi. It’s made a huge impact on my life. And now, sharing this with other people is what my life is all about. SD: How does the focus on spirtuality fit in with the ski experience? KU: Big Mind comes from the Zen tradition. But it’s several generations removed from Buddhism. It’s not a religious program. Buddhism is the study of what the Buddha taught, but Zen is trying to feel what the Buddha felt. Basically, it’s trying to embody our true nature; trying to help people access something they already know. Our clinic helps you use this awareness to become a better athlete. SD:In one interview, you said that some people won’t meditate, but they’ll ski. 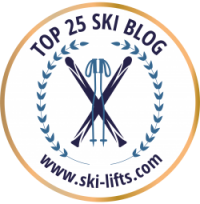 Do you equate skiing with mediation? KU: For me, yes, but it’s not that way for everyone. When I was a professional skier, there were times when it felt that way, but I wasn’t in the sport for the peace of it. I was in it for its power, aggression, and self expression. Now that I’m in my forties, I don’t care about improving my skiing anymore, so my feeling on this has changed. Meditation is something you have to learn how to do. 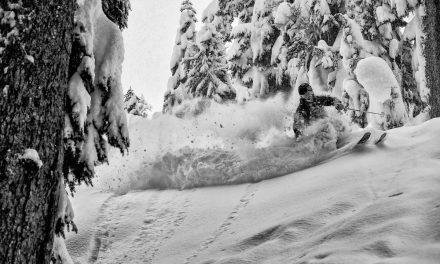 Many people have different approaches to skiing, and using it as a way to mediate is one of them. SD: In your clinics, what are you hoping people will come away with? KU: Two things. First, a greater understanding of themselves as an individual, and whether that relates to their performance skiing or just their lives, that’s up to them. And second, I’m hoping they come away knowing very, very clearly their true natures. 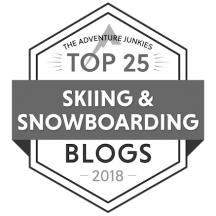 SD: I’ve had the pleasure of speaking to Deb Armstrong and Didi Lawrence, and both of them mentioned that for them, skiing is a metaphor for life. I know that isn’t exactly what you’re saying, but it’s interesting that for you, too, skiing is more than just a sport. KU: I say it’s one of many choices on how to live your life. And it is one of the best things I can think of. It’s beautiful, it’s magical, it’s social, and it brings up all sorts of stuff. But then it can also, if you allow it to, give you a glimpse of your true nature. I can see how the metaphor for life would resonate with some people. It’s more than just a physical activity. SD: What kind of people attend your clinics? KU: We get some of the most intelligent, interesting, grounded people in the country. I think many people are seeking knowledge and understanding in their lives. The choices are religion or the new age movement — which I think has become more questioned and obsolete. Our clinic offers another way. We do, however, get a lot of religious people who just want to add to that. 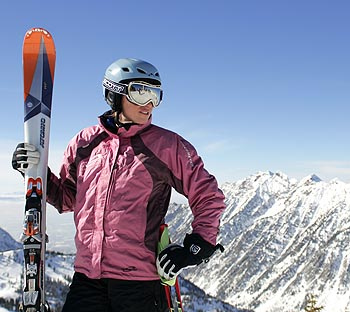 Kristen Ulmer will be offering her Ski To Live clinic at Snowbird from January 3-8, at Alta from April 3-6, and at Park City from February 28-March 2.